Choice Third Party Administration | Choice Solutions Services, Inc.
At Choice TPA we implement a craft approach in custom tailoring our third party administrative services. In doing so we become an extension of your team to service and meet the expectations of your policyholders because we really care. We staff each clients’ business appropriately and efficiently to ensure your needs are met not only today but tomorrow and in the future. Our team aims to settle claims swiftly, based on your values and customer service philosophies. We take great pride in delivering our craftsmen approach to claims. Choice TPA provides everything from full outsourcing of claims, to simple claim oversite, while understanding the specific classes of business lines and functions our clients serve. Our partners choose Choice TPA because they get custom tailored risk management solutions for their claims. Our clients immediately see an ROI, while also saving them time and the need of investing in training programs, technology infrastructure, fraud screening, and sophisticated claims analytics. Additionally, Choice TPA offers the perfect solutions to those clients who have an unpredictable volume of claims to manage effectively in-house; or are dealing with new or highly complex claims who need a consolidated view of their data delivered in real time. Our clients range from carriers to brokers, insurers and self-insured. Choice TPA complies with all legal regulatory and cultural requirements. 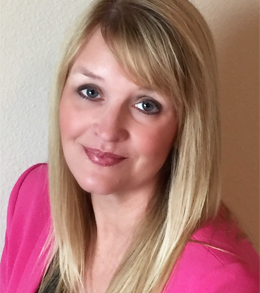 Ashleigh Hawkins, President of Choice TPA, leads a specialized group of experienced managers and adjusters. Ashleigh has well over a decade in claims and management roles within the insurance industry. Ms. Hawkins began her insurance career as commercial claims adjuster on the carrier side. Since then she has held various industry positions in claims and management with national IA firms. Prior to joining the Choice TPA team, Ms. Hawkins worked as a district supervisor for a reputable national adjusting firm. In her current role as President of Choice TPA, Ms. Hawkins is charged with all business oversight and growth of our inside adjusting program. Ashleigh has a Bachelor’s of Science degree in Business with a concentration in Management and her Masters in Business Administration from William Woods University. Jennifer Barker, Chief Operating Officer of Choice TPA, is a professionally qualified and experienced insurance professional. Ms. Barker has over 20 years industry experience, much of which has been at a senior management level. Jennifer joined Choice TPA March 2018, and is responsible for the implementation, service and growth of the company’s TPA business nationally. Before joining Choice TPA, Ms. Barker gained experience as a Regional Supervisor, Chief of Staff and Vice President of TPA and Program Operations at a national IA firm. Ms. Barker has a Bachelor’s of Science degree in Finance, Insurance & Risk Management from Southwest Missouri State University. Ms. Barker is Certifed in Lean Six Sigma – Green Belt. Choice Solutions Services is a company that prides itself on constantly exceeding the expectations of our clients. Our goal is to be innovative and flexible to help solve the problems of our valued clients.